Prince de Joinville and Suite Spent a Day Here, While Dauphin-Hunting. Along in the latter while thirties and early forties, I was clerk in the book store of Sidney L. Rood in the Cooper Block of Jefferson Avenue, this city. I recall in incident that happened, in which the Prince de Joinville and his suite figured. As usual, General Friend Palmer has either no gift or no great concern for dates. Luckily, other people kept better records than he did. 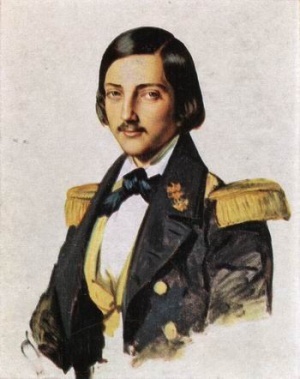 In 1841, François-Ferdinand-Philippe-Louis-Marie d’Orléans, prince de Joinville, stopped through Detroit on his Great Lakes tour, part of a broader visit to the United States. The real excitement in this story is that the Prince de Joinville was en route to Green Bay (travelling on the steamer Columbia) to meet the Reverend Eleazer Williams, who either claimed to be, or was suspected to be, the Lost Dauphin of France. The legend of the Lost Dauphin — which guessed that Louis-Charles, Louis XVI and Marie Antoinette’s little boy, who allegedly died in prison, had actually been smuggled to safety, and could return to take the throne — was evidently a pretty saucy topic, even abroad, during the Restoration. Eleazer Williams was one of dozens and dozens of men who claimed to be the Lost Dauphin, but without knowing any of the other stories, I’ll go right ahead and say his might have been one of the most interesting. Born sometime in the late 1800s, probably to at least one Mohawk parent, Williams made his name as an Episcopalian minister, missionary and self-styled leader of the New York Indian tribes. Under pressure from the government to relocate, and possibly imaging some sort of grand Indian empire, which he could rule, in the west, Williams moved to Green Bay as part of a land settlement. The prince not only started with evident and involuntary surprise when he saw me, but there was great agitation in his face and manner, a slight paleness and a quivering in the lip which I could not help remarking at the time, but which struck me more forcibly afterwards in connection with the whole train of circumstances, and by contrast with his usual self-possessed manner. He then shook me earnestly and respectfully by the hand and drew me immediately into conversation. And what was Friend Palmer’s take on Green Bay’s own Lost Dauphin? It appears that Louis Phillipe had heard that a man named Reverend Eleazer Williams … claimed that he was the son of Louis XVI and Queen Marie Antoinette, and consequently the dauphin and entitled to the throne of France. … When [the Princes] saw and spoke to him, however, they became convinced he was either a wilful imposter, or a person deceived by foolish stories. Williams was well-known in Detroit. When the first St. Paul’s church on the east side of Woodward Avenue, between Larned and Congress Streets, was consecrated on August 24, 1837, he read the consecration service. So now you know. Also, fun fact: there used to be a “Lost Dauphin State Park” in Wisconsin, near Eleazer Williams’ home there. It’s closed now. More on the Reverend Eleazer Williams here and here.